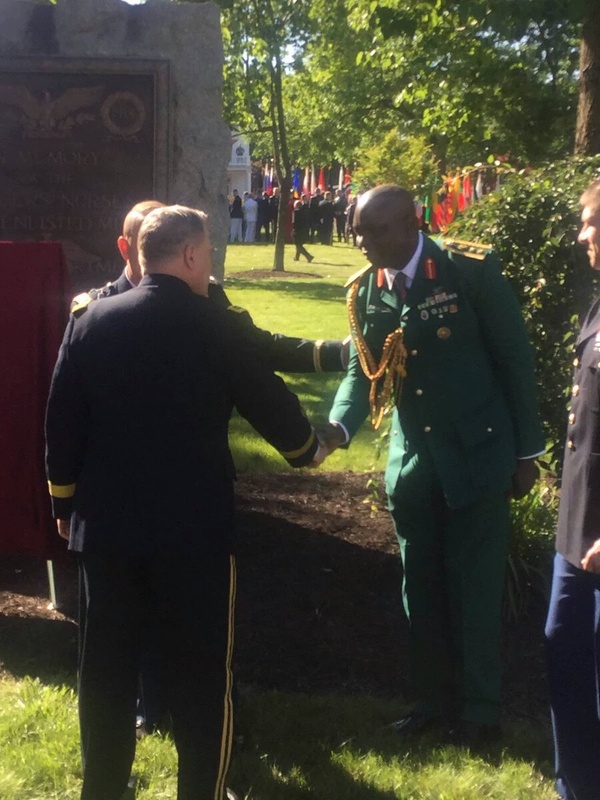 Charles Nengite, a Nigerian soldier has done his country proud in the USA. 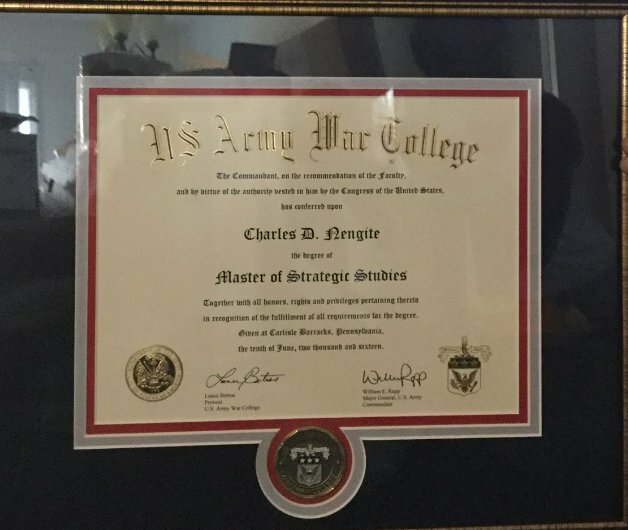 The colonel beat 380 other postgraduate students to the top position at the U.S. War College (USAWC), Carlisle, Pennsylvania, breaking a 38-year record in the process. He was described by the Commandant of the college, Maj.-Gen. William Rapp, as arguably one of the best in the international fellows programmes at the USAWC. Col. Nengite bagged six awards for outstanding performance in different courses. Some of which include, the Distinguished graduate award reserved for top 5 fellows in his class, Commandant’s award for distinction in research, 2nd best speaker award in speaking competition. Morocco banned from 2017&2019 AFCON tournaments. PHOTO: HAS ANYONE SEEN OBAFEMI MARTINS’ DINNING CHAIRS?